Pedal Portugal is here to help and this is the right page if you’ve got specific questions – in which case, please scroll down, read the notes and complete the Advice Form below. ***PLEASE NOTE: I will on the road leading guided tours from now (Feb 2018) until late May and will only have limited access to emails. Feel free to get in touch but please don’t be offended if you don’t get a detailed or instant reply. 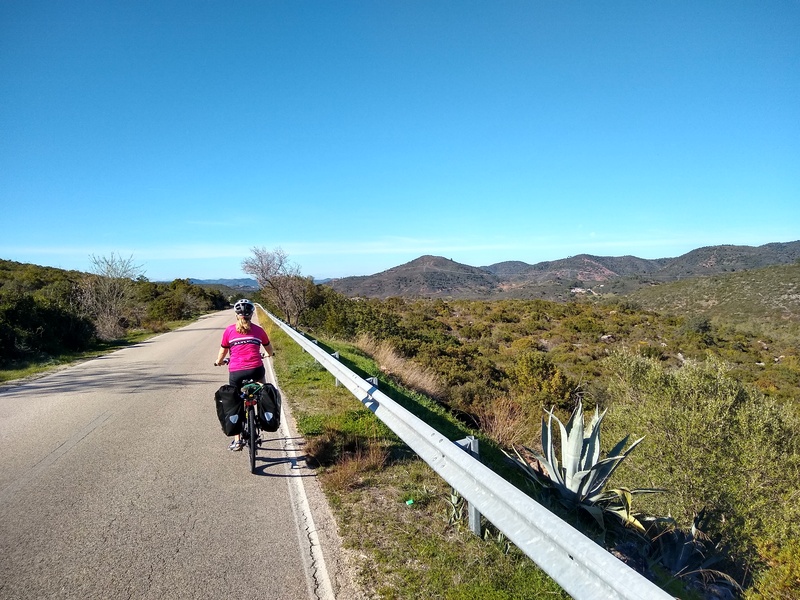 But BEFORE you contact me, please first read my TOP 10 TIPS on cycling in Portugal and check the Planning section to see if your questions have already been answered. 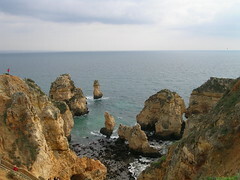 You can also find information on different areas of Portugal under the Day Rides heading. 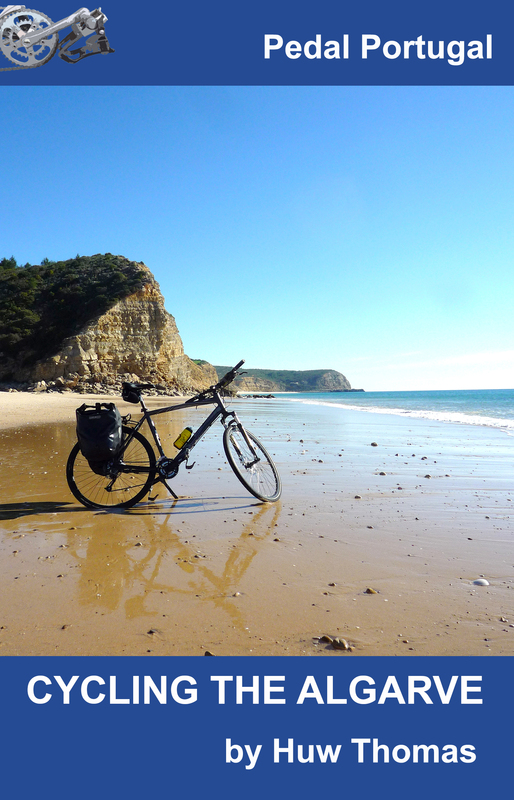 Also – even though I’d very much like to – I can’t cycle every road in Portugal, test every hotel and campsite etc. So, fellow cyclists, I need you to share your knowledge. Whether it’s an excellent touring route you’ve discovered or a helpful bike shop, your information might improve someone else’s trip. 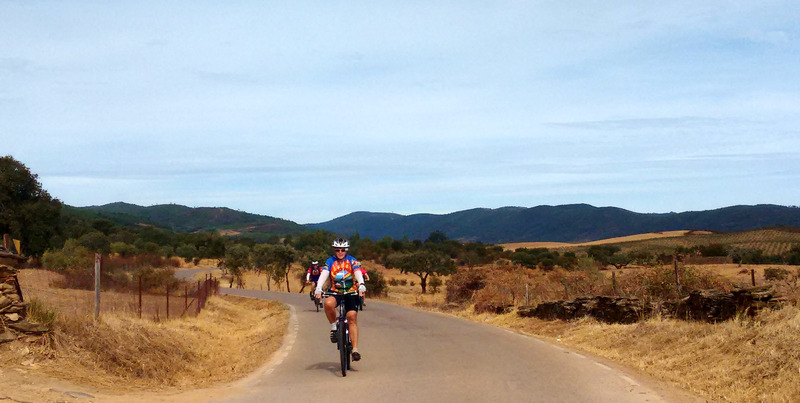 If you have specific questions related to cycling in Portugal, please fill out the form below. I do also offer a Route Planning Service if you’re after more than just the answers to a simple question or two. Number of days in Portugal? *Help Pedal Portugal! I run this site in my spare time but it’s starting to take up more of my life. If you found this site useful – particularly if I was able to provide information you needed – please consider making a small donation. Any amount is welcome. Just click on the PayPal link. Huw, just a clue on maps. We were just in Évora on Friday and picked up a great road map of the Alentejo area from the rota dos vinhos do. It cost three euros but comes with the benefit of 9 wine tastings. Day 2 of our trip, rainy but enjoyable, in Monsaraz and on to Serpa tomorrow. Maps and wine tasting! Sounds perfect. Need to get a copy soon. We were aiming to take the N251 to get onto the Ramal de Mora but a lot of trucks show on street view, as per Kim Purdy. I guess it’s a rat run from Estremoz to north of Lisbon but it’s a fairly low grade road for the traffic with no shoulders. Don’t suppose it’s been upgraded Coruche to Pavia since 2014.? Sorry for the delay in replying – was away for the weekend. I presume you’re coming from Lisbon direction? I haven’t been along that stretch recently but I rode NW from Pavia in October. It was fairly busy but not unbearable – occasional trucks rather than a constant stream. I seem to remember there was a decent shoulder in some parts. 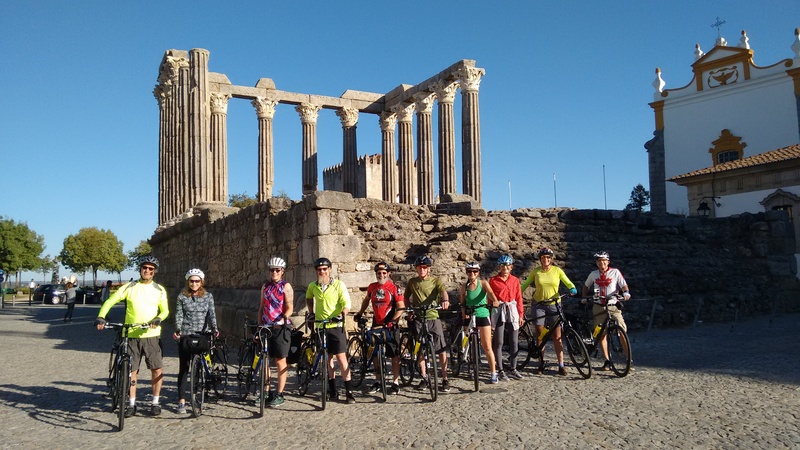 We (two Canadians in our senior years) have just finished 3 weeks of cycling Portugal unsupported and wanted to say how appreciative we are of the help we got from the pedalportugal web site. I wanted to make a suggestion to fellow peddlers who are cycling the Algarve. Don’t automatically rule out the n125 road especially if you need to cover longer distances fast. It has some pros including wide shoulders, good pavement, and well graded hills. Granted the heavy traffic is very annoying but it stays off the shoulders. We covered 70 km in about 4 hours with very few stops. Fair comment. I’ve ridden parts of the N125 myself. I’d suggest the western (beyond Lagos) and eastern (beyond Tavira) ends are also safer as they get a lot less traffic than the middle. The time of year is also a factor – if you’re out of the main tourist season the traffic everywhere will be a lot lighter. Glad the site was useful! Thanks for replying. As for bikes on the train from Pinhao to Pocinho, we were told by the the ticket agent at the train station in Pinhao that they were no longer allowed on this route. My husband and I have just returned from 5 weeks of cycling in Portugal. I just wanted to write you with a few comments/observations. 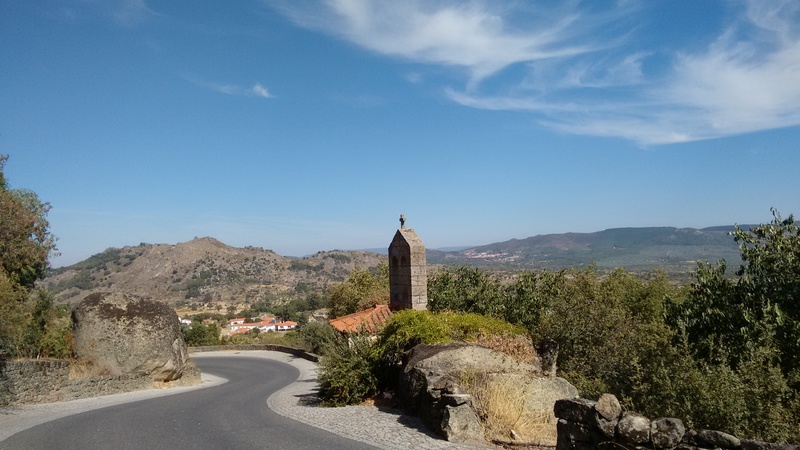 First, I wanted to mention a lovely 14.5 km cycling path from Guimaraes to Fafe. It is on an old rail line. Second, the train that runs from Pinhoa to Pocinho no longer takes bicycles, as of last year. Cycling north of Evora the N251 between Pavia and Coruche was very busy with constant large truck traffic, at one point 5 in a row flew past us on a road with no shoulders. All in all we loved Portugal, the people, the pastries, the wine and the scenery, but to be honest, I don’t know if I would go there to cycle again, mainly because of the traffic and the speed with which people drive. Really sorry to hear you had a disappointing experience with the traffic. I agree that Portuguese drivers aren’t the best but I’ve spent more than three years cycling there and to be honest I’d much rather take Portuguese roads over British ones. I think they are much more dangerous – mainly because of the volume of traffic but also the occasional idiots. Thanks for taking the time to add your 2 cents worth!